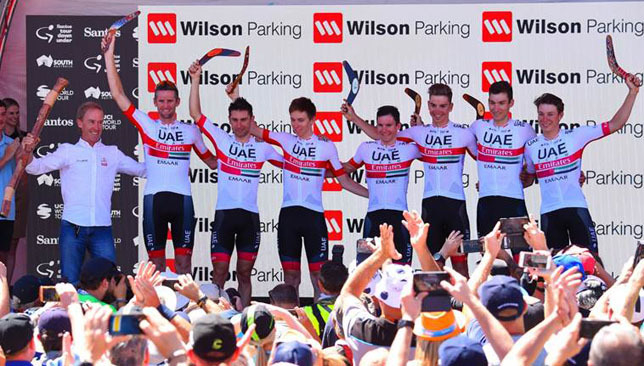 UAE Team Emirates got their 2019 UCI World Tour season off to a flying start by winning the team classification at the Tour Down Under. The seven-stage race in Australia, which ended on Sunday, awards the team competition title to the team with the best combined time after each stage. 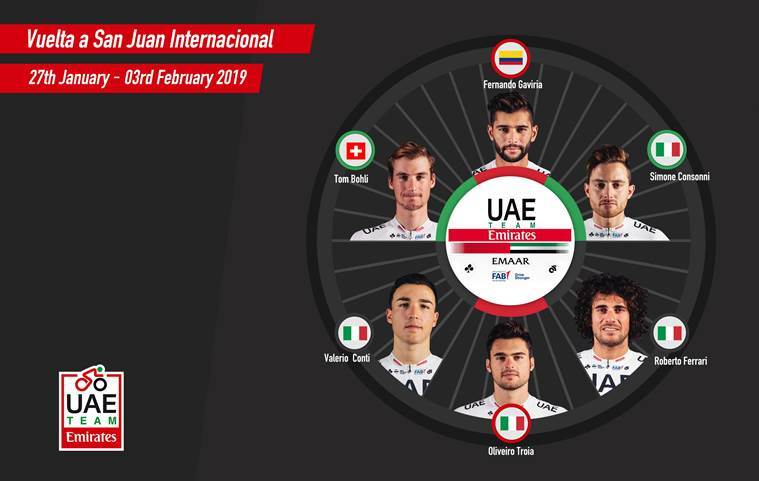 Diego Ulissi led the way for the victorious UAE team in the General Classification, finishing ninth overall, 40 seconds behind winner Daryl Impey of South Africa. 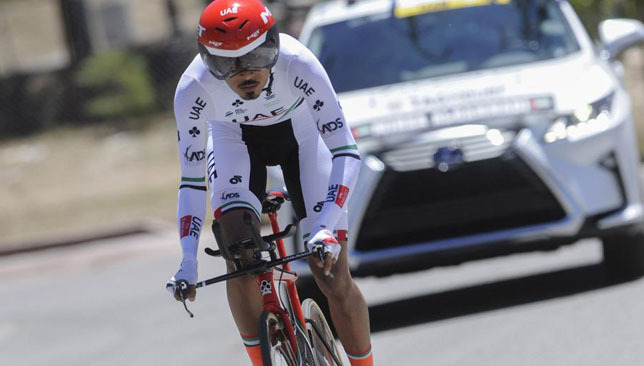 Tadej Pogacar was next best-placed for the Emirati formation, finishing 13th, with Jan Polanc in 17th. 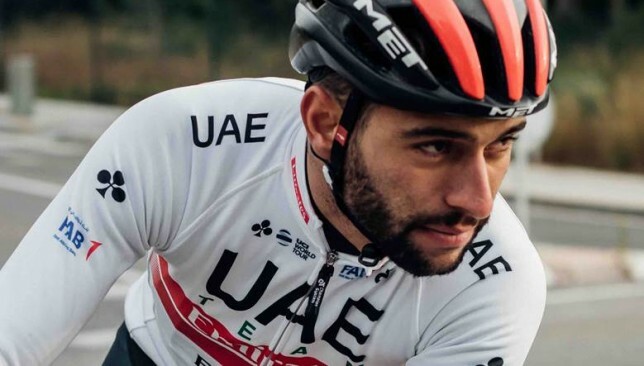 As well as their successful team finish, UAE Team Emirates enjoyed a stage win with Jasper Philipsen clinching stage 5 after a sprint finish into Strathalbyn. “It was a beautiful result for UAE Team Emirates. To get on the podium as the best team in the first World Tour race of the year is amazing,” said sports director Neil Stephens. “Today we achieved more goals that we were after. We wanted to take the team classification but to try to be in the best possible spots in the individual classification. 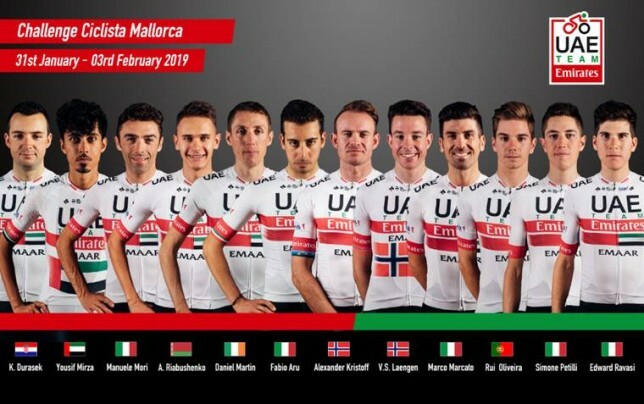 UAE Team Emirates will next be in World Tour action at the inaugural UAE Tour which gets underway in Abu Dhabi on February 24.